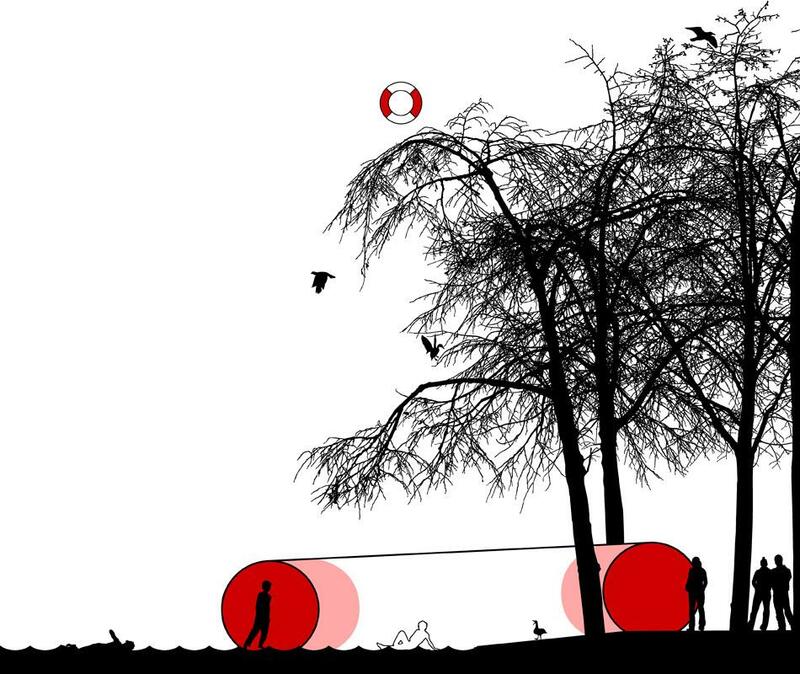 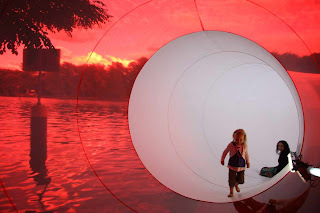 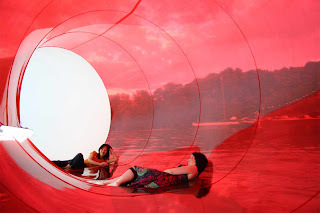 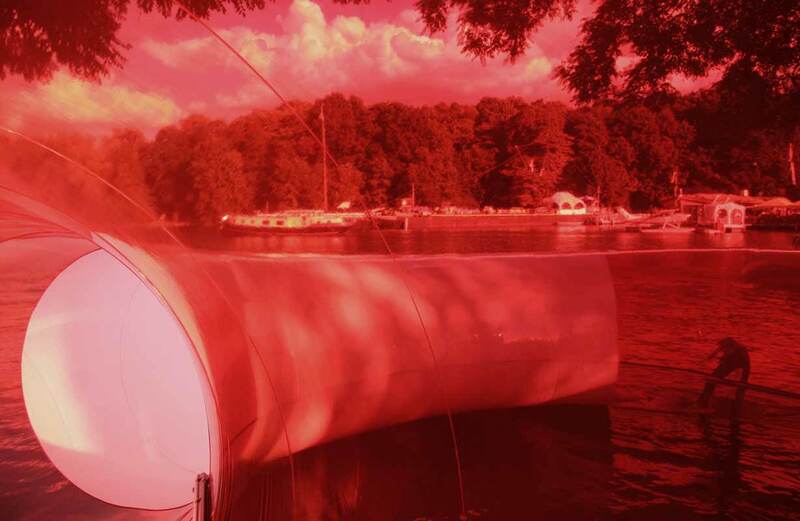 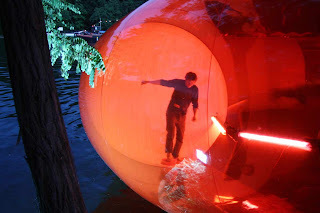 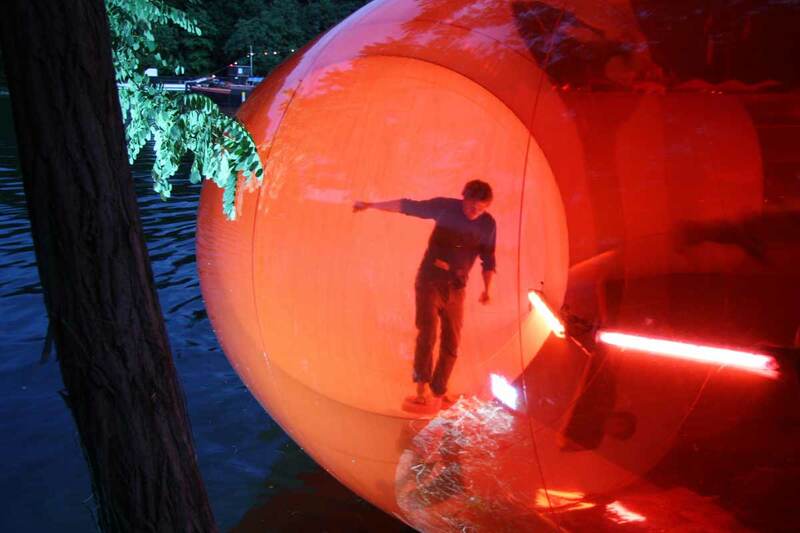 DER RETTUNGSRING is designed as an experimental feature: It is our first attempt to built a floating structure – to bring together the two elements of air and water in a creative form. 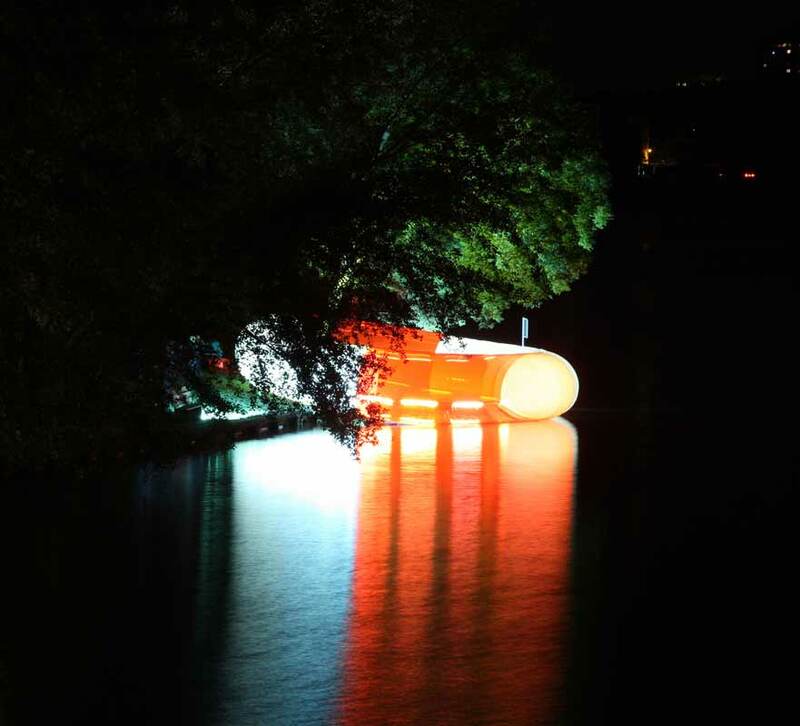 The Odyspree 2010- a creative storytelling boat trip- is a live performance, initiated by treibhaus 08. 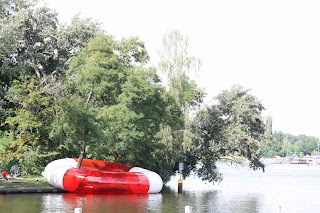 On the 'Island of Youth' in the district Berlin Treptow, plastique fantastique dropped their RETTUNGSRING (lifesaver) and placed it around a tree. 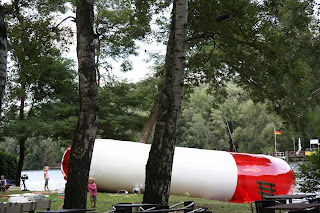 The huge red and white sculpture semi-floated on the Spree River. It was widely visible as the sign for the 'redeeming shore' where the creative voyagers presented the outcomes of their 'Spree-Odyssee'. 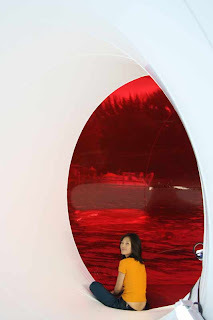 Once inside of the structure, the visitor enjoyed the full experience of walking, sitting and relaxing on the water. team: Marco Canevacci, Stephanie Grönnert, Franz Höfner, Antonia Joseph, Carsten Reith, Markus Vogt, Markus Wüste.